Prisoner Hunger Strike Representatives in Pelican Bay State Prison, of which Paul is one, were retaliated against harshly. Read below what you can do to support Paul and his brothers. We need massive support for them all. Here is also the latest picture of Paul, taken on June 14th 2013. Thank you for your support of the hunger strikers. As you may have heard, the hunger strike began on July 8 with California 30,000 imprisoned people refusing to eat. Hundreds of media outlets have been covering this historic event. The California Department of Corrections and ‘Rehabilitation’ (CDCr) has begun to retaliate against the vocal spokespeople for the hunger strikers, who are located in Pelican Bay and Corcoran State Prisons. Our Pledge of Resistance Alert today will focus on the extreme brutality of prison authorities against the Representatives of the hunger strikers, who are in Pelican Bay State Prison. 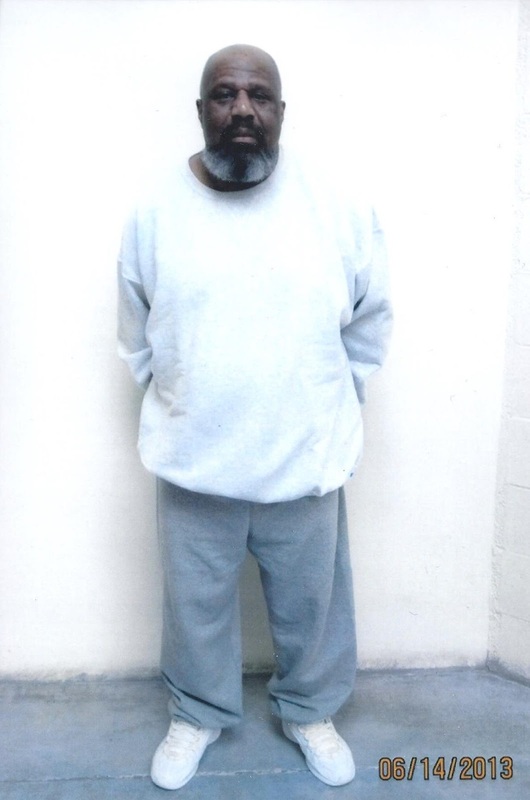 The CDCr is also trying to undermine legal and community support of the hunger strikers. They have just issued ‘banning’ orders to Marilyn McMahon, an attorney for many of the Reps in Pelican Bay, denying her access to her clients. Most likely, prison officials will not be thrilled to get your phone calls and emails, so please be determined and polite in trying to send your phone and email messages. Whether you get a voice or a voice mail, they will know you are watching them, and want them to Stop the Torture. On July 11, PBSP prison authorities removed 14 prisoner Representatives from their solitary confinement (SHU) cells and placed them in Administrative Segregation (Ad Seg) cells which are even worse than the SHU. The hunger strikers, many of whom are elder men and have severe chronic illnesses, are dressed in summer clothing, but the CDC has turned on air conditioning full blast, leaving some of the men sick and freezing. Meanwhile, the prison officials have raided their SHU cells and confiscated their legal materials, including attorney-client protected documents pertaining to their highly publicized federal class action lawsuit against the state of California (Ruiz v. Brown). other places, Dachau concentration camp in Germany, and promoting California’s environmental advancements to selected European audiences. Tell the PBSP prison authorities to return the 14 prisoner Representatives to their cells. See below for their names. Return all their property, especially the legal documents guards have confiscated. Lift the ban on their attorney, Marilyn McMahon, so that she can again access her clients. Medically monitor the men to ensure that the prison has not destroyed their health! Please write to the Reps.
PO Box 7500. Crescent City, 95532. Mr. Arturo Castellanos may not be able to receive your letter. He’s on ‘restricted mail,’ by the prison authorities.